Similar to the living in France, speaking the language will be a huge advantage when looking to work in France as an expat. Having fluent French opens a lot more doors in different industries in France. If you are looking to work in France and you come from outside the EU, you will find it a lot more difficult to obtain employment due to the hierarchical chain the French have adapted, in relation to who gets what jobs. In France, a French citizen qualified for a certain job will always be chosen ahead of an EU member. The EU member will then get the next available job ahead of someone from outside the EU. This is due to France’s high unemployment level today. The French government see it necessary to provide employment to their own people before giving jobs to anybody else. This is why people coming from outside the EU to work in France should be qualified in specific fields in order to have a good chance of getting work. Part-time or season work in France tends to be easier to obtain. In the summer months, the tourism industry always does extremely well so work in this industry will be available like bartending, restaurant work, hotel catering, etc. 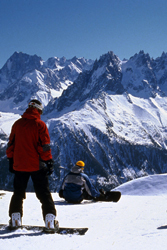 Also season work in France in the winter can be available for people who can bare the cold temperatures high up in the many mountain resorts France has to offer, mainly located in The Alps. Anyone from the EU has the right to work in France, without any work permits, however if you are from outside the EU, a work permit, known as carte de sejour, will be required. This is a temporary residence permit. If you only plan on staying in France for up to 3 months, a visa is not required. If you are staying longer, then a visa de Court Sejour will be needed in order to work under the French law. If you find yourself wanting to move to and work in France and are unable to find work, another option that is becoming more and more popular these days is teaching English. The French study English in school from a young age, however there is only so much you can learn from reading books and listening to tapes, so a lot of French students decide the best way to learn English is from a fluent English speaker. This is a less consistent way of earning good money because your wages depend on the demand for English teachers in your chosen area. Having a job sorted before moving out will of course be an advantage, but teaching English privately can be difficult to predict how much you can earn. 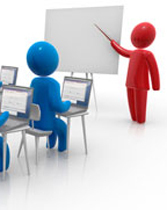 Teaching in a school will be more consistent than private lessons at home for example, but TEFL qualifications are usually required from the schools. These TEFL courses (Teaching English as a Foreign Language) can be taken in your home country, either online or in classroom sessions, some people deciding to complete both so it increases their chances of finding work. We have thousands of local members waiting to answer your questions on living and working in France. Join Worky or Login to Join the Discussion. I am a fully qualified TEFL teacher and am looking to use my cert next year after graduation. What's the demand for TEFL teachers in Paris does anyone know? Or France in general? thanks a lot Audrey, appreciate the help!